Credit: Financial Times on Flickr. Some rights reserved. The Financial Times is now available on Flipboard, with subscribers to the news title able to login and read all FT content via the social magazine app, which is available for Android, iPhone and iPad. Flipboard lets users sync their Twitter, LinkedIn, Google+ and other accounts and add feeds from favourite news outlets, with personalised news content delivered as a page-turning experience. In a release, the FT said the "launch marks the latest development in the FT's successful digital strategy of offering its content across an array of devices and platforms with a single login and subscription". "Mobile delivers a highly engaged audience and is an increasingly important channel for the FT, driving a third of all FT.com traffic and 15 per cent of new digital subscriptions." The Financial Times is found within the 'business' category within Flipboard (there is a link here). Non-subscribers can access some content, including blogs, video and parts of the weekend section. 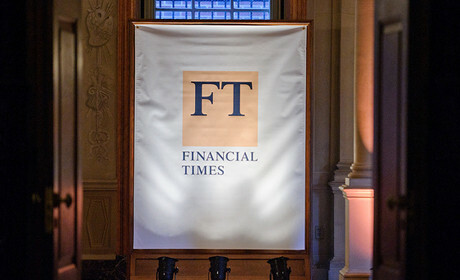 "The remainder is for subscribers only," Rob Grimshaw, managing director of FT.com, told Journalism.co.uk today. Grimshaw first hinted that subscribers would be able to login via other apps a year ago, when he said that the news title was aiming to "give subscribers access to content across platforms". At the time Grimshaw predicted that half the FT.com audience would be reading via mobile by 2015. Today he told Journalism.co.uk that he now sees that forecast as "fairly conservative" as the title is already seeing mobile traffic figures close to 50 per cent for subscriber pageviews. "We are already close to point", Grimshaw said, explaining that the FT.com has recorded 48 or 49 per cent of pageviews from subscribers coming via mobile devices on particular days. "It is probably surprising everyone in the industry," he said. Asked about the mobile and tablet split, Grimshaw said around half of mobile traffic is coming via tablets, half from smartphones. "We expect that to stay roughly the same," he said. The Financial Times last month re-launched its web app for mobile devices, offering readers two experiences: the chance to read content from the morning edition of the print product, and a 'live' experience with content published and updating in the app during the day. Readers can toggle between the two options from within the app. Asked about readers' reactions to the new-look app, Grimshaw said feedback has been "extremely positive and we are very encouraged by the response". He said there has been "a big uplift in engagement", in terms of number of pageviews and the pageviews per visit. "We think that's because we have created a better experience and a more engaging design." The FT is not the first part-paywalled newspaper to offer a subscriber login via Flipboard. The New York Times launched login option last June. The FT is also bringing in revenue via ads in Flipboard. In a release Grimshaw said: "Full-page advertisements provide yet another opportunity for our clients to reach the FT's powerful, international and increasingly mobile audience."